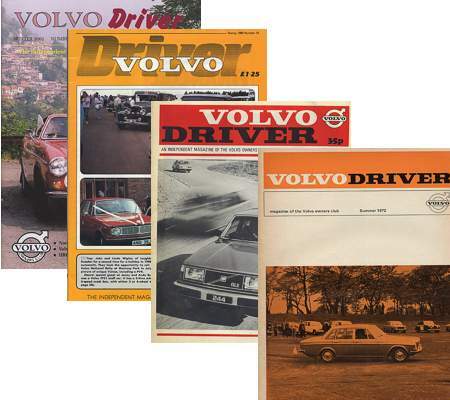 Volvo Driver, the magazine of the Volvo Owners Club, has been going for many years. It is currently a 48 page A4 size magazine, with many colour pages. It is issued six times a year. The magazine is printed by a professional printing company for the club. It was not always such a big, high profile club magazine as now. The number of members many years ago was much less and so the amount of information in each magazine was less. Volvo was also less prominent in the UK. Now, the magazine reflects on the larger membership and the popularity of the Volvo marque. We have put together a collection of the cover pages and selected articles of previous issues of the magazines. Some are not in very good condition, having deteriorated over the years, but none the less are of great historic interest to many members and Volvo enthusiasts. There is also a wealth of technical information in some of them. Issues 4 to 29 are the complete magazines. Others contain articles of interest.